As of today, EU citizens will be heading to the polls to renew the European Parliament. For that reason, we are closing our short series on the elections with an overview of the main pan-European parties. Even though in most cases we will be voting for national parties, this time the pan-European platform to which the parties belong matters more than ever. All major pan-European parties have adopted an electoral manifesto and have nominated a Common Candidate, which will be the person(s) that will ideally head the European Commission should that party retain a majority, as outlined in Silvia’s article from yesterday. Even more than in past elections, knowing what the European party, in addition to the national one, stands for has become very important. For that reason, below is a very brief outline of what the five main parties are proposing for these elections. Please note that movements such as the Conservatives and Reformists and the Eurosceptic movements have been excluded (mainly) because of their inability to put forward a Common Candidate and an electoral program. The Alliance of Liberals and Democrats for Europe (ALDE) has put forward the name of Guy Verhofstadt as its common candidate for Commission presidency. The manifesto of ALDE puts jobs, economy and public finances at its core, with a rather liberal and laissez-faire economic approach. The manifesto also provides a detailed overview of the changes the party intends to make in terms of neighbourhood policy and the institutional set-up of the Union, which stood out as the two strongest points in the ALDE manifesto, which ranges from a better common migration policy to interinstitutional relations to the “single European Parliament seat” pledge. On the down side, engagements on economic measures seem rather vague, and there is a complete absence of features such as social rights and equality (LGBT, women, healthcare, etc.). The European Green Party (EGP) chose its two candidates through online primary elections, which saw German MEP Ska Keller and French MEP José Bové win the contest. The EGP manifesto is longer and less structured compared to that of ALDE. Quite unsurprisingly, the focus of the manifesto lies in measures to foster a Green New Deal for Europe, therefore triggering job creation, economic growth and sound public finances through investment in renewable energies and in the low-carbon economy. Nevertheless, the manifesto seems to focus so largely on the green economy that the jobs aspect remains rather vague and, at the end of the day, not underlined. In contrast, the manifesto is very clear on social rights and gender equality, going even as far as to propose a European social card. A lot of concrete measures are also present in terms of the envisaged institutional setup, including support for a single seat of the European Parliament and the lowering of the voting age to 16 years old. The Common Candidate chosen by the party of the European Left (EL) is the young Greek leader of the Syriza party, Alexis Tsipras (personal website). The EL manifesto is, if possible, even longer and more unstructured than the EGP manifesto. The manifesto focuses largely on jobs, economy and finance, with rather long and frequent attacks against bankers and austerity. In some economic parts the measures proposed therefore come out as rather vague and, in some parts (such as debt renegotiation), hardly realistic. The EL manifesto is, contrarily, very clear and detailed on social rights (LGBT, women, healthcare, education). Also, compared with other manifestos, the EL is the only party clearly and unequivocally taking a stance on the TTIP by calling for its immediate halting. Also, in favour of the EL manifesto, is the fact that it was the first one to be formulated, and therefore there was no precedent set or an opposing manifesto to take inspiration from. 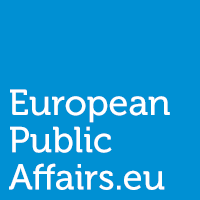 The European People’s Party (EPP) found in former Luxembourg Prime Minister Jean-Claude Juncker (personal website) its Common Candidate personality. The EPP manifesto puts at its core the economic situation, with the first three points dedicated to jobs, economy and investments. Economic terms are also those in which immigration, both intra- and extra-EU, is dealt with (quite extensively) in the manifesto, with the key message seeming to be that both types of migration should be accepted as long as they are economically justified or beneficial. The EPP manifesto furthermore contains clear indications in terms of enlargement (calling for more prudence) and trade (calling for extensive free trade with US). However, in the EPP manifesto, there is a striking absence of social rights, health, education, LGBT and gender equality. The Party of European Socialists (PES) chose, during its congress in Rome on 1 March, the European Parliament’s President Martin Schulz (personal website) as its Common Candidate. The PES manifesto, compared to the other four, is more concise and clearly structured around 10 main issues. Similarly to all other manifestos, the clear focus is placed on job creation and economic growth, as shown by the fact that at least five of the 10 points are somehow economy-related, including the first four mentioned. As a whole, economy comes out as the strongest point in the manifesto, including very concrete proposals (minimum wage, halving tax evasion by 2020, European credit rating agency). On the contrary, compared to the rest of the manifesto foreign policy seems to be more a series of rather general guidelines with no reference to specific situations. Also, there is no mention of institutional features such as transparency, a single seat of the European Parliament and institutional set up. To vote for one of the pan-European parties involved in the campaign and their respective Common Candidate, the vote will have to be given to the national party (or parties in some cases) which is affiliated to the pan-European level in the country of the vote. Provided below is a non-comprehensive and potentially imprecise list of member parties for each of the five pan-European parties in each member state. Please double check the information for your country before going to the polls.